Do pet cats contribute to the feral cat problem? DO PET CATS CONTRIBUTE TO THE FERAL PROBLEM? 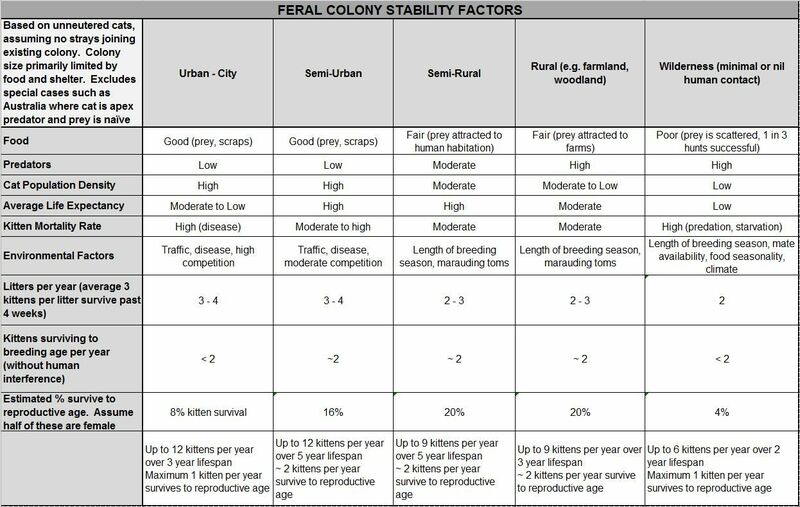 The diagram below shows the relationship between pet cats (owned cats), stray cats (unowned cats) and feral cats (wild cats). Feral control alone cannot work. Responsible ownership is required to reduce the number of cats which go feral. Studies in the US indicate that 30-60% or unneutered cats will stray or go feral. Entire males roam in search of mates and may become lost. Unspayed females may be impregnated by feral males, the owner my dump the kittens (and possibly the mother). Unspayed females will also roam if they can smell a tomcat nearby. Roaming cats are attracted into feral colonies where there are potential mates. Some cats simply stray too far from home and become lost. Many young cats are abandoned when no longer kittens, partly because they are no longer cute and fluffy, partly because of the expense of neutering. It is important to neuter pet cats to reduce the likelihood of straying and to prevent unwanted kittens which may themselves stray and breed.